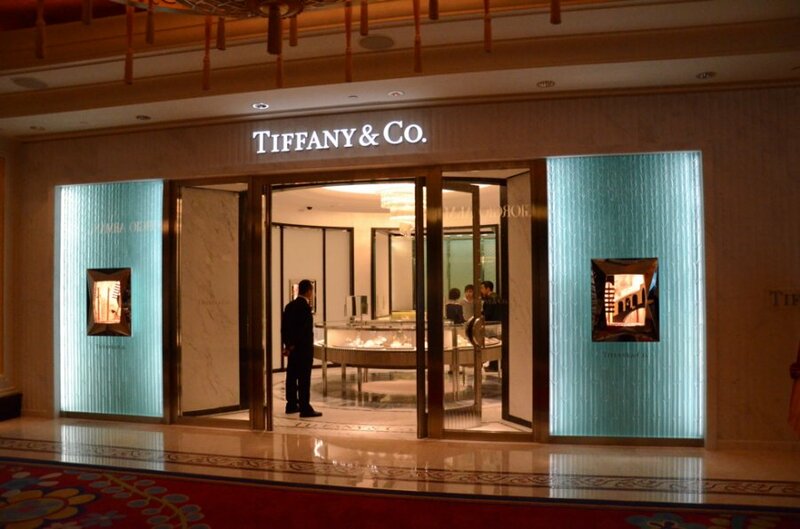 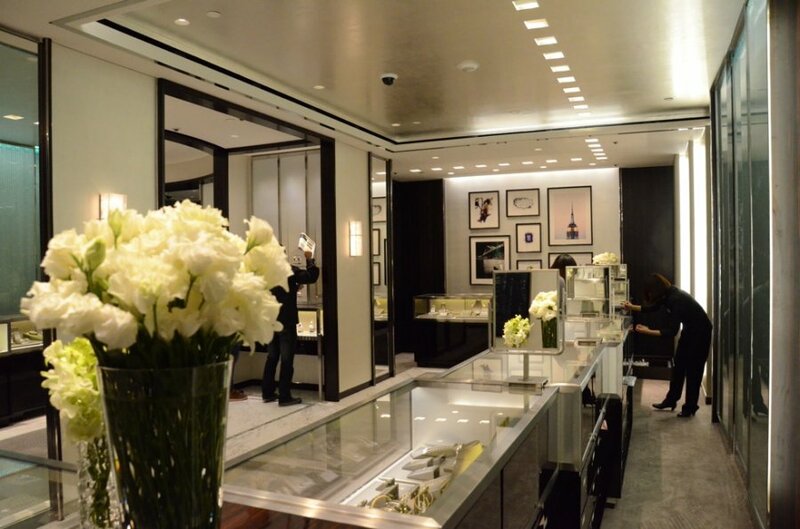 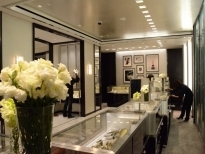 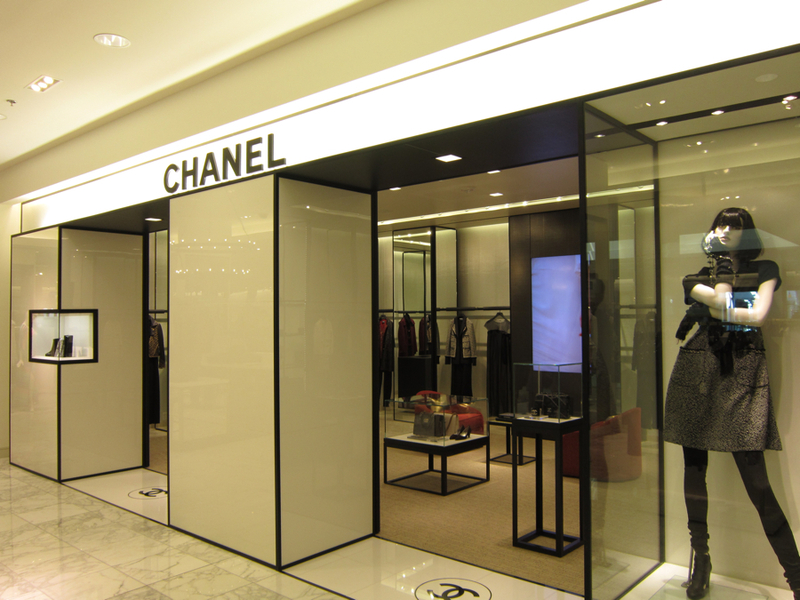 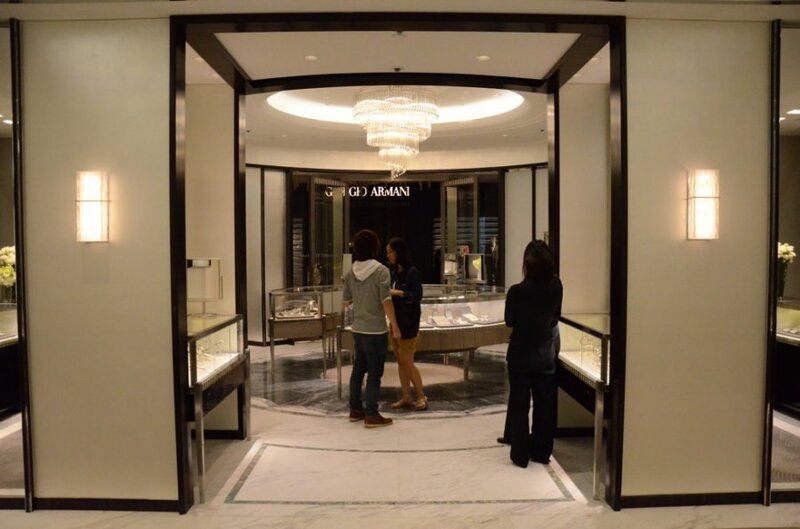 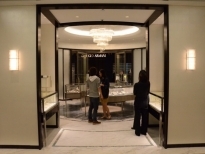 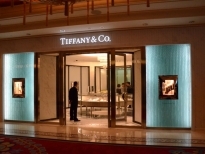 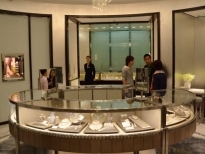 Within the shop interior, a cascading crystal chandelier is suspended above the fine and engagement jewelry cases. 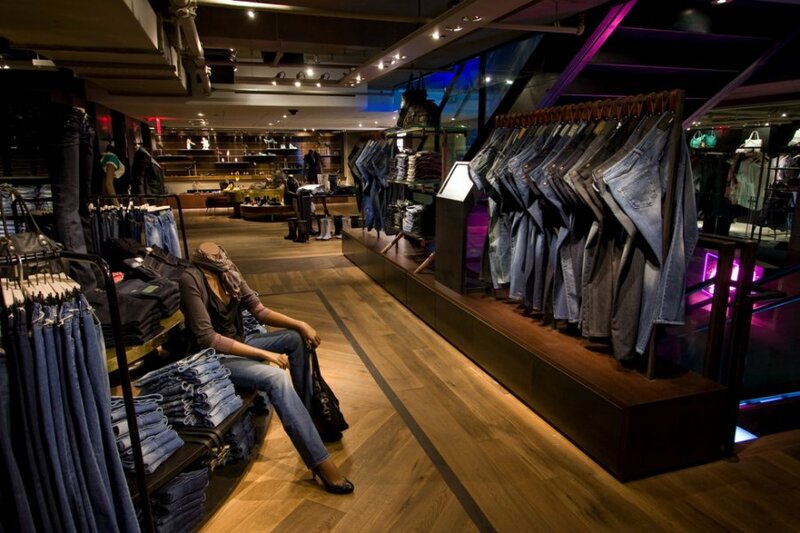 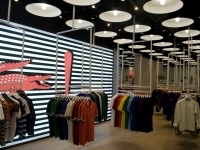 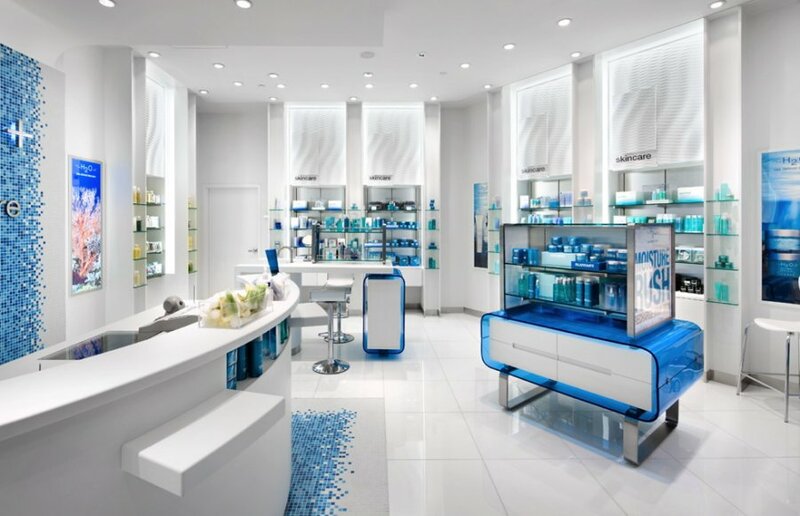 Integral millwork case lighting from Optolum follows the curvature of the cases to ensure that all the products appear equally and brilliantly lit. 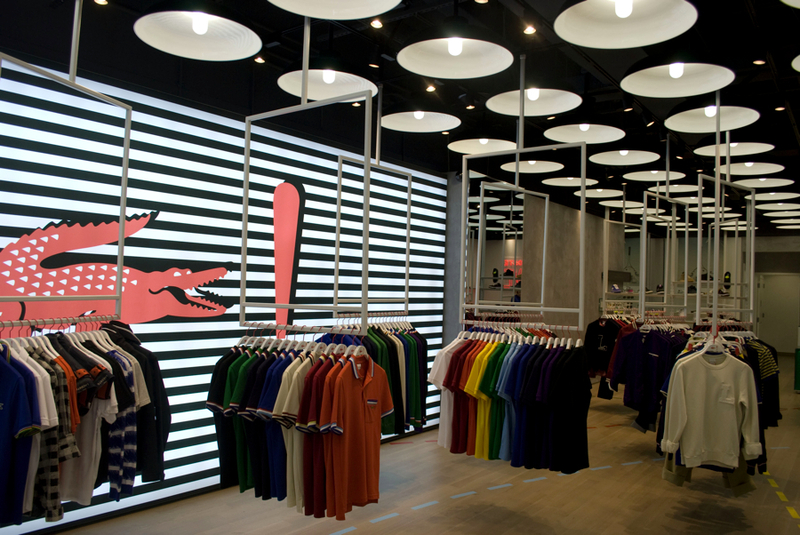 A concealed fluorescent cove is used to up-light the reflective silver-leaf ceiling in the fashion jewelry display area, while cold cathode lights follow the perimeter of the domed ceiling in the main sales salon. 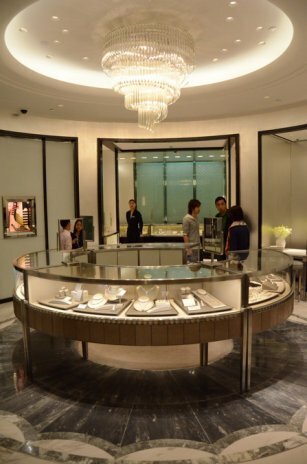 The lighting design features beveled, trimless pinhole downlights arranged in a semi-random constellation pattern above the case-line. 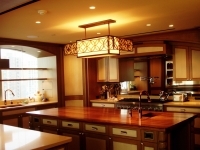 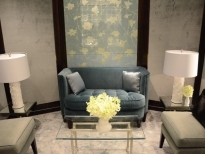 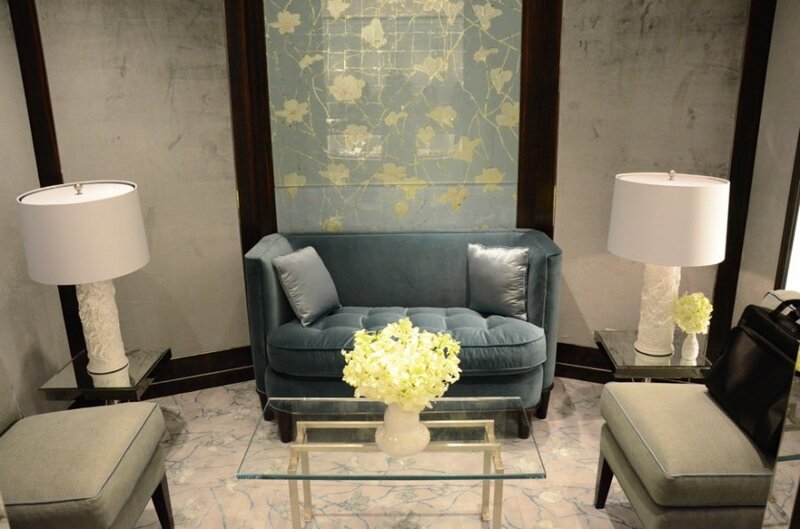 Decorative wall sconces and one-of-a-kind table lamps invite customers to explore the private sales and lounge areas.